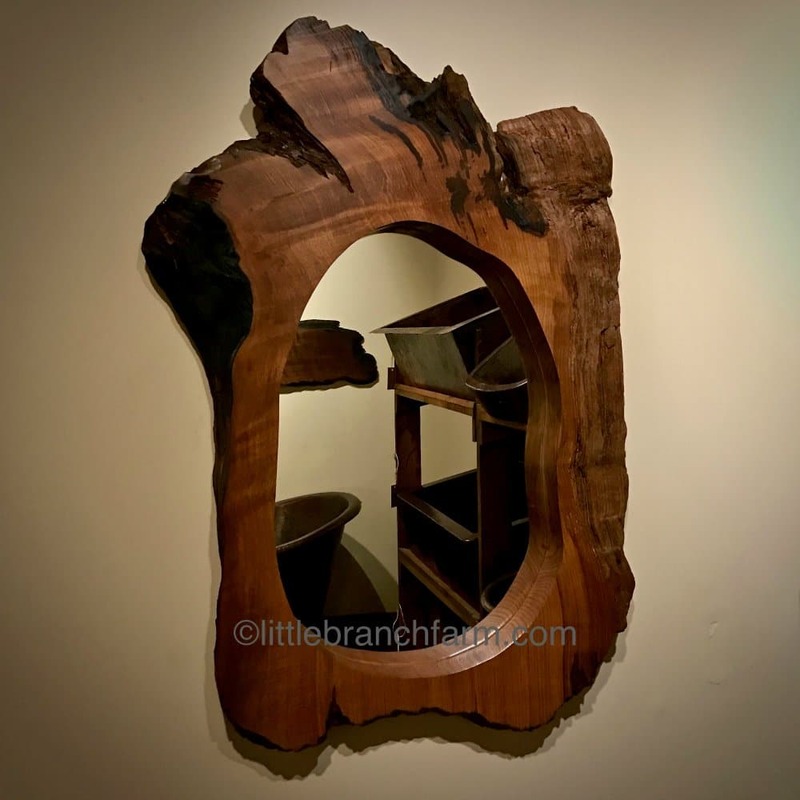 Live edge wood mirror #104 is 38″ tall and 26.5″ wide. SOLD! Please contact us to order Custom sizes available! 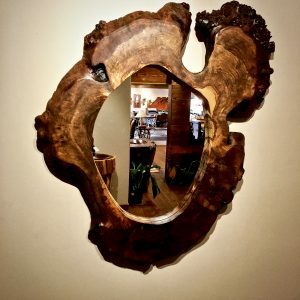 This simple live edge wood mirror made from a redwood live edge wood slab. The ethically sourced wood slab salvaged from the forest floor of the Pacific Northwest. As with natural wood furniture each wood slab mirror is one of a kind. 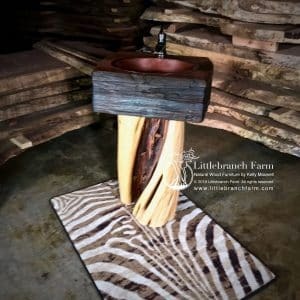 The perfect powder room is not complete without a rustic vanity below a natural wood mirror. 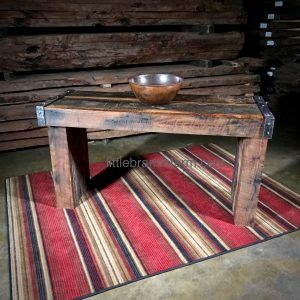 Redwood wood slabs also make a great rustic dining table or natural wood coffee table. 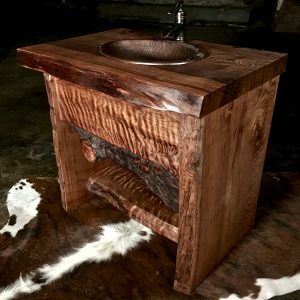 Located in Nashville, TN we design and build custom rustic furniture using old growth wood native to the USA. Each piece is one of a kind.